Thor Kitchen presents this 30″ gas range featuring 4 burners, a 13,000 BTU Broiler and 4.2 cubic foot 22,000 BTU Convection Oven has the space and power to get it all done. Thor Kitchen presents this hot new gas range to help you create meals like a professional chef. 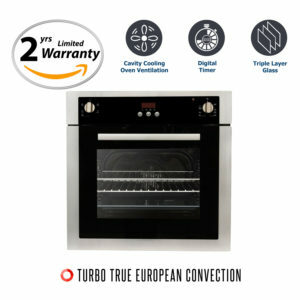 For those with discriminating tastes, this 4.2 cubic foot 22,000 BTU Convection Oven has the space and power to get it all done. 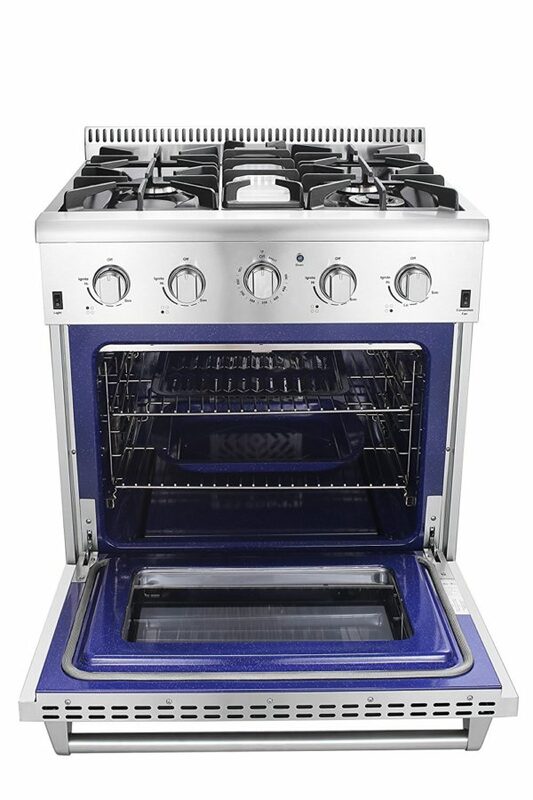 Featuring a 13,000 BTU Broiler for grilling and browning your food. 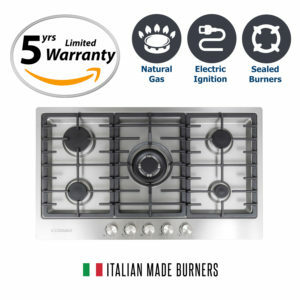 This freestanding gas range features 4 high powered gas burners which allow you to cook from a high heat for boiling, frying or searing to a low simmer for the most delicate sauces. 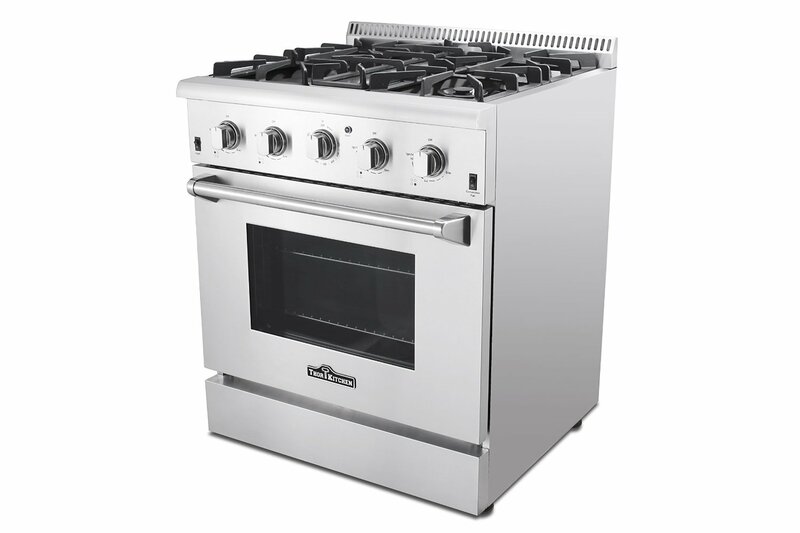 The removable back-splash gives it the versatility to be used as a freestanding or slide-in gas range. 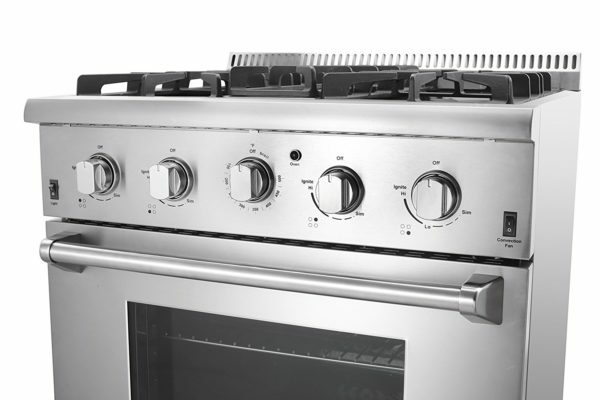 With its classic stainless steel body and modern black finishes this must have appliance is designed to perform as well as it looks. 4.2 cu. ft. oven capacity for cooking multiple dishes. 18,000 BTU burners for high heat searing. 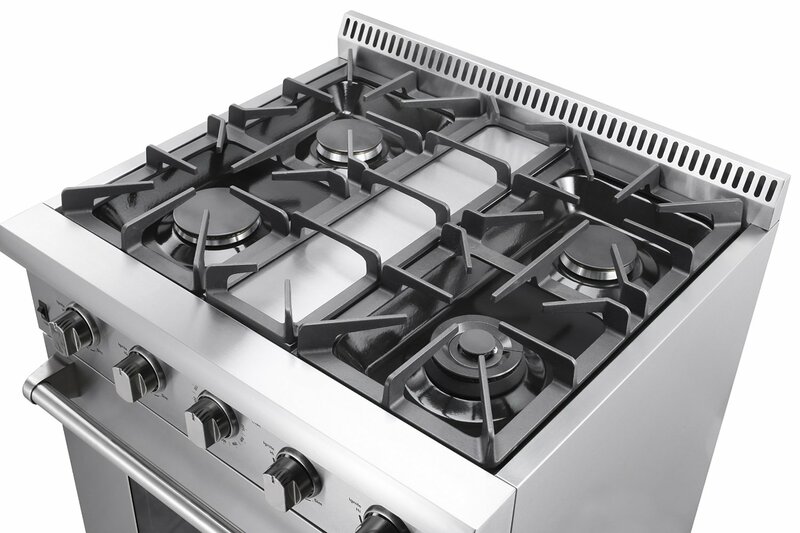 15,000 BTU burners for high heat cooking. 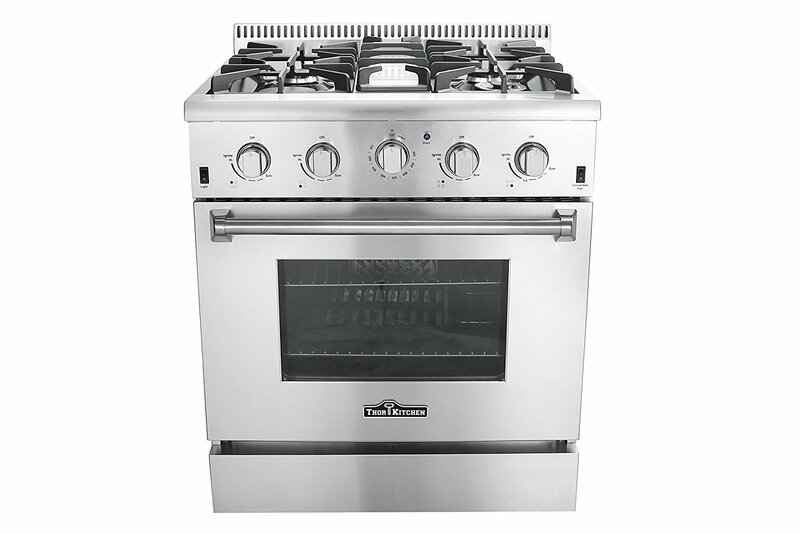 Twin 12,000 BTU burners for medium to high heat cooking. 13,000 BTU Broiler for grilling and browning food. Dimensions (W x D x H): 30 in. x 28 7/8 in. x 40 in. 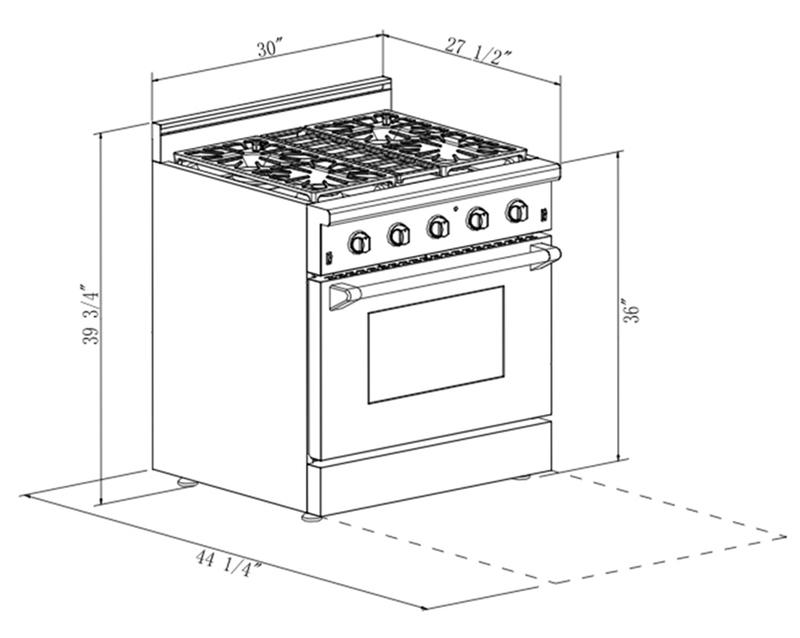 Interior Oven Dimensions (W x D x H): 24 in. x 18 in. x 16 in. This Thor Range looks great in the kitchen. I love it. Easy to clean, cooks fast. 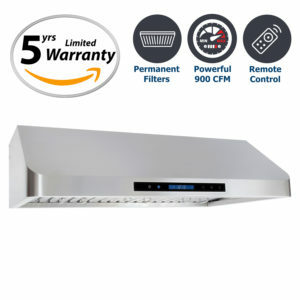 I recommend getting the QS-75 Range Hood to go with it. Its very quiet. Enjoying this range. Love that the stove grates and burners, it is very sturdy and beautiful. Very happy with my Thor stove! 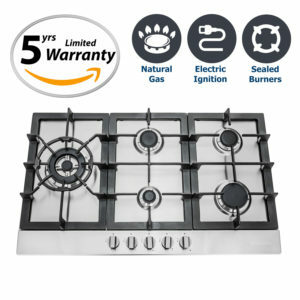 It works extremely well, is very convenient with its 4 burners, and the oven holds heat well. Very happy with my purchase.